Western-based team planning the science component of MRO-HiRISE “cycle 301” (the 300th two-week imaging “cycle” since the start of the primary mission in Fall of 2006): [Names] Livio L. Tornabene, Sarah Simpson, Jennifer Newman, Alyssa Werynski (left to right). It’s the tricentennial anniversary of the first 2-week mission-planning “cycle” of the Mars Reconnaissance Orbiter (MRO)... and our Western University-based team has the honour of planning it! Their role in is to help with the science-oriented aspects of planning a 2-week set of HiRISE images. The Western-based team is led by Earth Sciences Adjunct Research Professor Dr. Livio Tornabene (@RocDocMars) – a veteran HiRISE Science team member, former HiRISE Targeting Specialist (HiTS) and Co-Investigator on the ExoMars Trace Gas Orbiter imager – CaSSIS – and will include Department of Earth Science PhD. Candidates Jennifer Newman (@meteorJen) and Sarah Simpson (@SarahLikesRocks), and Masters’ student Alyssa Werynski (@a_werynski) with support from postdoc Eric Pilles (@EPilles). 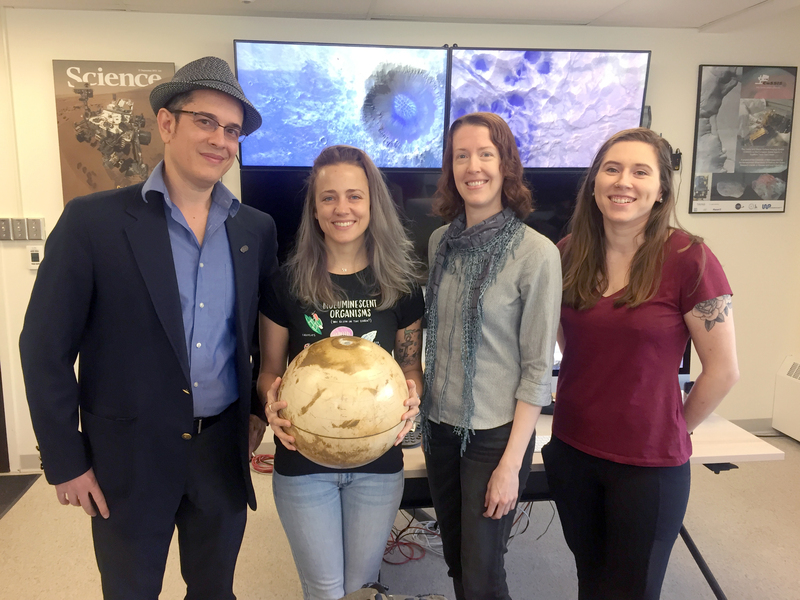 The team will be enjoying another exciting imaging campaign with the University of Arizona’s Lunar and Planetary Laboratory HiRISE Operations Team, including HiRISE targeting specialist (HiTS) Veronica Bray. This will be their 7th time leading the science-planning of HiRISE images from Canada, taking place in the Centre of Planetary Science and Exploration’s (CPSX) mission control facility housed in the Department of Physics and Astronomy. The 300th HiRISE’s imaging campaign executes on the evening of Saturday, May 12th and continues to Saturday, May 26th as Mars continues into Northern Fall/Southern Spring. The team anticipates taking ~300+ images, including current and future landing sites, seasonal and change-detection targets, and targets from other science themes such as “Impact Cratering” and “Composition & Photometry”. For the latest updates, and a sneak peek of their images of Mars follow them on the CPSX Facebook page, and Twitter at: @RocDocMars and @WesternUCPSX.